The increasing demand on healthcare standards and industry growth has caused HL7 customers to be met with many data challenges in an effort to minimize inefficiencies and remain in compliance with the new Health Insurance Portability and Accountability Act (HIPAA) standards. Many of our healthcare customers deal with Big Data and dozens of business applications like Epic, HealthShare, Salesforce, SAP, and SharePoint. Work with them all as one when you use Enterprise Enabler to leverage your healthcare EHR integrations securely, seamlessly, and quickly. 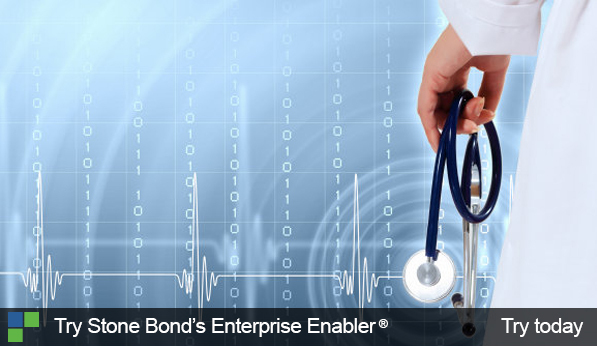 Don’t risk data quality; integrate with Enterprise Enabler® to search your healthcare data securely, seamlessly, and quickly. Access all of your enterprise & cloud data live, without staging. Enterprise Enabler, dramatically improves the time-to-value of integrations by reducing complexity and leveraging data federation and virtualization. When you are ready to begin converting your HL7 to FHIR, or building new interoperability among systems, Enterprise Enabler makes it fast, easy, and secure. Imagine being able to leverage data federalization and Data Virtualization to combine data live from multiple disparate systems and upload it or query it. From dashboards to actionable consoles to secure data exchange with business partners, Enterprise Enabler makes it easy to configure the framework behind the scenes. Enterprise Enabler creates an HL7 FHIR web service to pull from various data sources within your enterprise, so that it appears as one data source. Thus, creating a comprehensive view of all your data, which encompasses easier interopability between tools, vendors, or outside organizations. For example: The HL7 message gets sent to Enterprise Enabler which transforms and converts it into a Salesforce contact record (i.e the patient).